We are located in the Phoenix suburb known as Mesa, and we serve the entire Phoenix-metro. Dr. Metz is originally from Nebraska but moved to Arizona seeking good weather and sunshine. He received his B.S. in Human Biology from Chadron State College, and his D.D.S. from the University of Nebraska’s College of Dentistry. He enjoys outdoor activities, spending time with family, and Husker football games. Get a free consultation with Vibrant Dentistry. 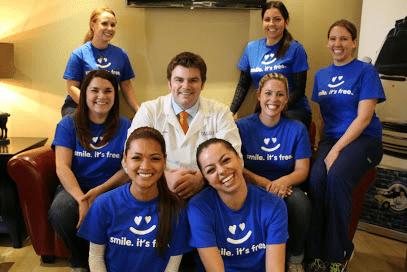 Vibrant Dentistry participates in the Arizona Mission of Mercy and has also hosted three “Dentistry From The Heart” Charity Events which include offering free dental work such as fillings, cleanings, and extractions to those in need. Vibrant Dentistry has been in business since 2010. More than 200, with a success rate of 95%. Our office is well equipped to provide the most advanced and latest high-tech dental treatments to patients in need, and we are especially welcoming towards children. Recommendations from friends and family of our patients. Varies depending upon number of implants involved and type of restoration. We accept Master Card, Visa, American Express, Care Credit, In-House Payment Plans. Some discomfort for a few days. The implants are typically ready for the definitive restorations in 3-6 months depending upon type of restoration, location, and quality of bone. We advise they come see us! We stand behind our work and replace restorations within 5 years for patients who have followed through with the recommended follow up care. Have a question or inquiry? Click the green button to get in touch with New Generation Dentistry.